Isn’t it quite intriguing how love affairs so often ignite, blaze up and die? It is portrayed in countless movies and we see it most ruthlessly realized on our streets over and over again. While the affair still lives and lasts, things get so glamorous you can’t imagine the slightest possibility of the opposite being the case. But then, things inexorably fall apart. If this happens everywhere and every time, then, the case of Brynn Cameron and her ex-lover Blake Griffin is even more so. Both Brynn Cameron and Blake Griffin proved their mettle in their own ways as basketball players. But, today, the media spotlight on them is entirely for a different reason: their child custody battle. Although the focus here is on Brynn herself, her story can never be told without a substantial mention of Blake. Brynn Cameron is an American woman who first came to prominence by playing college basketball. 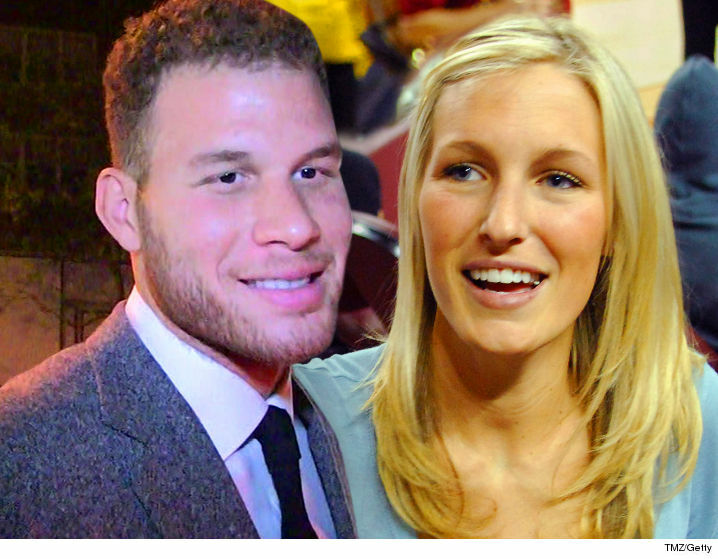 Her fame further increased when she became the girlfriend of NBA bigshot Blake Griffin. Then, she probably became even more famous (or, is it notorious?) for suing Griffin after their break-up. Born on July 8, 1986, in Van Nuys, Los Angeles, California, she is a daughter of Stan Cameron and his wife Cathy. She has two brothers Jordan and Colby, and one sister, Emily. Information on where Cameron attended elementary school is not known, but we know that she went to Newbury Park High School. After graduating, she proceeded to the University of Southern California (USC) where she studied sociology and was a prominent member of the school’s female basketball team. Brynn and Blake: Image source. While still in college between 2004 and 2005, Brynn Cameron dated Matt Leinart, who was then a quarter-back gridiron player for the University of Southern California and who later played in the NFL. After her break-up with Leinart, Cameron discovered she was pregnant with his baby. She was only 19 then. At age 20 in 2006, she gave birth to her and her ex-boyfriend’s child, a son named Cole Cameron Leinart. Towards graduating from college in 2009, Cameron got romantically involved once more with a top sportsman, this time a fellow basketball player named Blake Griffin. While they were yet to get married, Brynn bore two kids for Griffin – a son named Ford Wilson and a daughter named Finley Elaine. The love affair between Brynn and Blake got to a point that they decided to exchange marital vows. They went ahead to fix a date for their wedding, as Blake who grew concerned about what may happen to his wealth in case the marriage crashes, brought up the idea of having a prenuptial agreement with Brynn before the wedding. Brynn Cameron rejected the idea of a prenuptial agreement and was reportedly infuriated by the thought that her husband-to-be did not trust her. Blake subsequently did not want to continue with the wedding without the prenuptial agreement. Instead, he sought custody of their two kids and the one time lovers then fell out against each other as their wedding was put on hold. On Valentine’s Day of 2018, while other lovers were sharing intense romantic moments with each other, Brynn Cameron was filing a palimony suit against Blake. In the suit, she accused Blake of abandoning his responsibility towards her and their two kids in order to pursue a relationship with another woman, the said woman being runway model Kendall Jenner. Since that time, nothing was heard from both parties and according to trending reports in early 2019, about a year after Cameron filed her suit, the two ex-lovers settled the case out of court, just hours before they were billed to appear before a judge. Brynn Cameron may not have earned superbly from playing basketball since injury and childbirth could not let her sporting career last, but she surely gathered a decent earning from the sport. Besides, since retiring from sports, she has been an entrepreneur in her home town. Moreover, although we do not know the financial details of her settlement with Blake Griffin, it surely must worth something. So, it can be well understood when it was reported in 2018 that she is worth $755,000.